C.1.1. About four in ten Latinos make an effort to reduce their use of air conditioning in the summer. Forty-three percent of Latinos say they either “always” or “often” use less air conditioning in the summer. 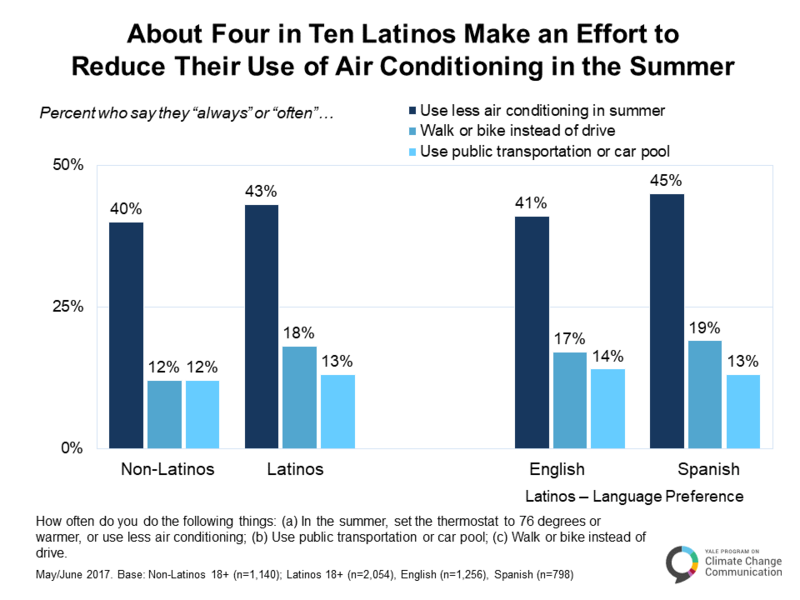 Roughly the same proportion of non-Latinos (40%) say they make an effort to reduce their use of air conditioning in the summer.